The top Nifty gainers include ICICI Bank, Asian Paints, IndusInd Bank, Titan Company and Larsen & Toubro while Tata Motors, Cipla, Infosys, Bharti Airtel and BPCL are the top losers. 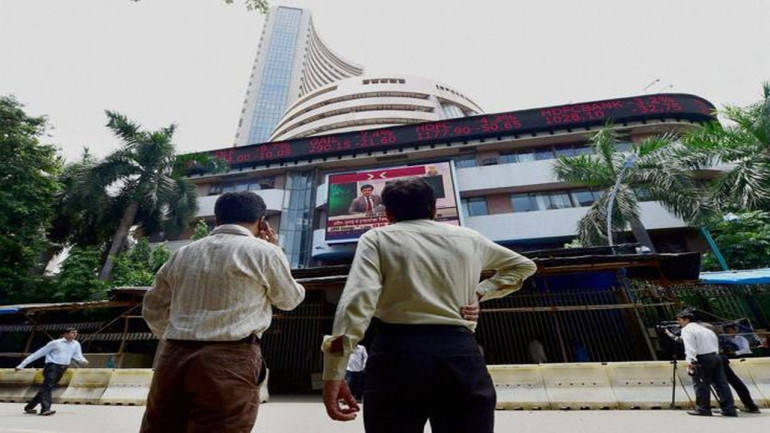 Benchmark indices including Sensex and Nifty hit record high on Tuesday morning with Nifty50 jumping 90 points, trading at 11,781, while the Sensex rallied 332 points and is trading at 39,238. Bank Nifty is the outperforming sector, up 1 percent led by ICICI Bank which gained close to 3 percent after Goldman Sachs retained buy and raised the target price to Rs 492 per share. The other gainers include IndusInd Bank, State Bank of India and Axis Bank. Oil & gas stocks are also buzzing led by HPCL, Reliance Industries, Indian Oil Corporation, ONGC and GAIL India. From the infra space, the top gainers are Larsen & Toubro which jumped 2 percent followed by Interglobe Aviation, Reliance Infra, Bharti Infratel and IRB Infra. However, real estate stocks are down with loses from Oberoi Realty which shed close to 3 percent followed by Indiabulls Real Estate, Unitech and Sunteck Realty. India VIX is down 1.03 percent at 21.17 levels. The most active stocks are PC Jeweller which zoomed 16 percent followed by Polycab, TCS, Infosys and ICICI Bank. Indraprastha Gas, Kajaria Ceramics, Bata India, Gillette India, Info Edge (India) and Relaxo Footwears hit 52-week high on NSE. The breadth of the market favoured the advances as 953 stocks advanced and 682 declined while 451 remained unchanged. On the BSE, 1,188 stocks advanced, 940 declined and 119 remained unchanged.